LITTLE EXPLORERS IS NOW ENROLLING FOR THE FALL 2018-19 SCHOOL YEAR…CALL US TODAY FOR A TOUR! SPACE IS LIMITED! 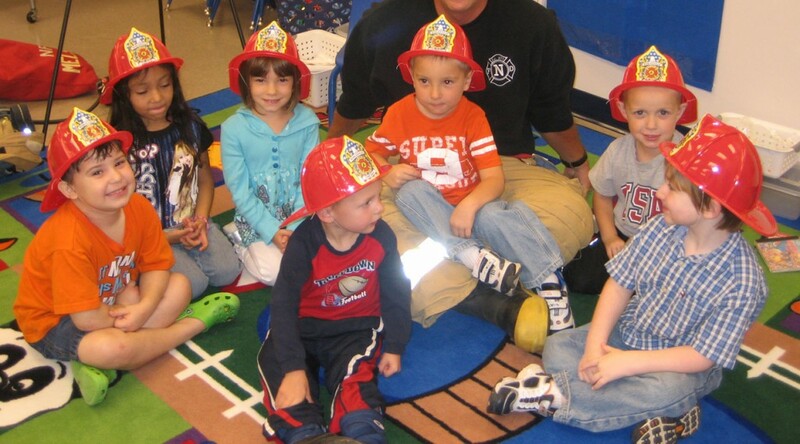 To provide a high-quality, developmentally appropriate early learning program for students. The objectives of Little Explorers Preschool are to: Help children construct understanding through active interactions with adults, peers, materials, and events. Provide learning opportunities which build on prior understandings and expereinces. Increase understanding of cultural, ethnic, and other differences. Provide integrated learning opportunities in the areas of art, music and movement, large muscle, math, science, and discovery, manipulative and fine motor, blocks, individual play, dramtic play, and literacy. Children need activities for physical, social-emotional, and academic development. Weekly themes are used within the preschool classroom to facilitate the integrated learning opportunities for students. The POCET evaluation tool is used regularly to assess each child’s progress. Parents are offered conferences two times each academic year, allowing all parents to remain involved and updated on their child’s academic progress. A partnership between home and school is a key ingreadient in each child’s success! Little Explorers Preschool is a place where your child comes to build a life long love of learning. We pride ourselves on pro viding a sound academic base which our child will carry into the elementary school setting. Graduates of Little Explorers will know what to expect in a classroom setting, and be prepared to handle the academic challenges of kindergarten! We make learning exciting by challenging every child to think outside the box. Our theme based curriculum leads to questions and hands on exploration. Our degreed teachers will cheer for every success, and gently lead through obstacles that may arise. Our small class sizes allow all children to receive the one on one attention that they deserve from our staff. Come see the difference today at Little Explorers Preschool!